Computer donations go beyond helping individuals, families, and organizations stay connected. They empower others to reach their potential in future STEM careers. STEM (Science, Technology, Engineering, and Math) has become one of the most important degrees anyone can study and land careers that pay well. When it comes to working towards those aspirations not everyone has the financial means to purchase a brand new computer and build on their STEM education. Non-profit organizations, such as human-I-T, is working to bridge that gap for those looking to expand their STEM education. What are some ways that computer donations aim to close this gap? Continue reading. How can computer donations close the STEM gap? It wasn’t long after Mr Williams, a past recipient, heard about human-I-T and applied to receive his desktop computer. Thanks to this computer donation he was able to complete his computer science degree and move on towards new employment opportunities not previously available for him. Or Verna, who needed to take online classes at the University of Phoenix and her daughter who aims to become a doctor can now work towards that goal with a donated computer from human-I-T. It’s these donations that make a difference in the people’s lives everyday. Computer donations go a long way to helping those be prepared for work and life. This is more important than ever and according to the Pew Research Center “some [computer] users are unable to make the internet and mobile devices function adequately for key activities like looking for jobs.” human-I-T not only provides the necessary equipment, but we promote STEM learning with every donation, which impacts our recipients ability to access valuable digital resources. With shortages of skilled workers in STEM fields, providing these donations can go a long way in filling that gap. How is human-I-T able to help so many people reach new opportunities? It’s not an easy task, but we commit ourselves everyday to helping those who are unable to access digital resources. We have several programs that we work partnership with organizations to help as many people as possible, such as OurCycle LA, Connect Home, PowerOn and human-I-T Connect. These programs reach distinct groups that are at risk of being left behind. From low-income families, at-risk LGBTQ youth, veterans and homeless youth throughout Los Angeles and southern California. Without computer donations there are missed opportunities to helping someone become a software engineer or a science teacher. Donations help bridge those opportunities for people and help narrow the unemployment gap in cities and states. 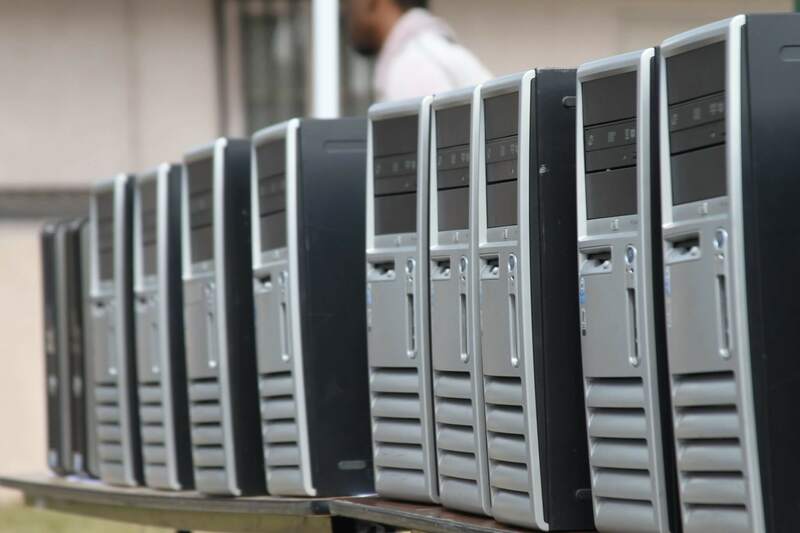 The next time you plan to toss out your old computers look to donate it. It can change someones life.